In an era when vaccines are subject to detailed regulations, such as those developed by the Centers for Disease Control (CDC) for the Vaccines for Children program, it’s more important than ever for hospitals to fully abide by the set requirements, clearly demonstrate their adherence, plus assure patients and caregivers that the vaccines on-hand are both safe and effective. Ensuring safe and effective vaccine storage is critical! Below, we’ve outlined seven key considerations to ensure your vaccines remain safe and effective. 1. Use Pharmacy-Grade Refrigeration Cabinets. Pharmacy-grade stand-alone or purpose-built refrigeration units are best for ensuring vaccines remain effective. One should never use dormitory or dual-zone (refrigerator and freezer combo) consumer refrigerators to store vaccines. 2. Ensure Advanced Insulation and Cooling Technology. Not all pharmacy-grade refrigerators are alike. Choose a refrigeration cabinet with forced air circulation. In addition, make sure your unit includes superior insulation, or your vaccines could experience temperature fluctuations that may decrease their effectiveness, potency and protection. 3. Maintain a Verifiable Constant Temperature and Alert to Out-of-Range Events. Vaccine refrigerators require a constant temperature between 2° and 8°C for most routinely recommended vaccines. Built-in temperature monitoring enables you to track temperature with ease and accuracy. The refrigeration cabinet should also feature alerts that enable staff to respond quickly to changes in temperature, doors that are ajar, and other potential issues. 4. Track Item-Level Vaccine Temperature History. It is important to track the history of a vaccine’s environment in order to ensure it has been kept within the labeled temperature range. Refrigeration cabinets should enable you to not only see when the temperature is out of range, but also to identify exactly what vaccines are stored in the cabinet during that time and may be impacted. This allows for quick and simple removal of any items that might be affected. Vaccines with RFID smart tags, stored in an RFID-equipped refrigeration cabinet, provide this level of detail to know precisely what vaccines have been impacted by temperature fluctuations. 5. Employ Emergency Battery Backups. In the event of a power outage, make sure your cabinet has battery back-up to allow continued temperature monitoring, helping ensure continuous cold-chain compliance. 6. Secure and Monitor Vaccine Access. The best way to secure inventory and prevent diversion and tampering is to select a refrigeration cabinet that features secure access controls, showing you who has accessed the unit, which vaccines were removed, what quantities were taken, and when. Cabinets with RFID technology can track and provide real-time visibility to these access details through a web-based client portal. 7. Automatically Track and Optimize Vaccine Inventory. Modern refrigerated cabinets should allow you to not only track and remove expired vaccines, but also monitor low-inventory levels to ensure your hospital always has what it needs and that expired or soon-to-expire vaccines are accounted for. This process is often manual, which is time-consuming and prone to error. With advanced RFID technology, tracking is done automatically as the cabinet door is opened and closed – no manual intervention needed. 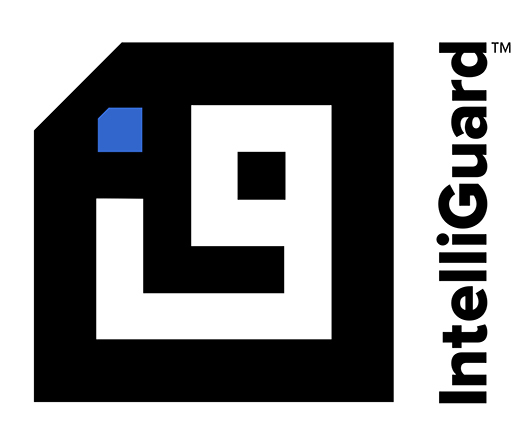 Discover the striking differences between an RFID solution like the Intelliguard® Inventory Management System and others. Use these “7 Considerations to Ensure Safe & Effective Vaccine Storage” as a checklist during your vaccine storage selection process. While some hospitals may be tempted to overlook the potential life-threatening consequences of less-than-optimum vaccine storage, hopefully, it will help you make an informed decision and have a much easier time choosing the solution that’s right for your hospital.